The Chichen Itza Mayan Ruins were about a two hour bus ride from our port in Progreso on the north end of the Yucatan. 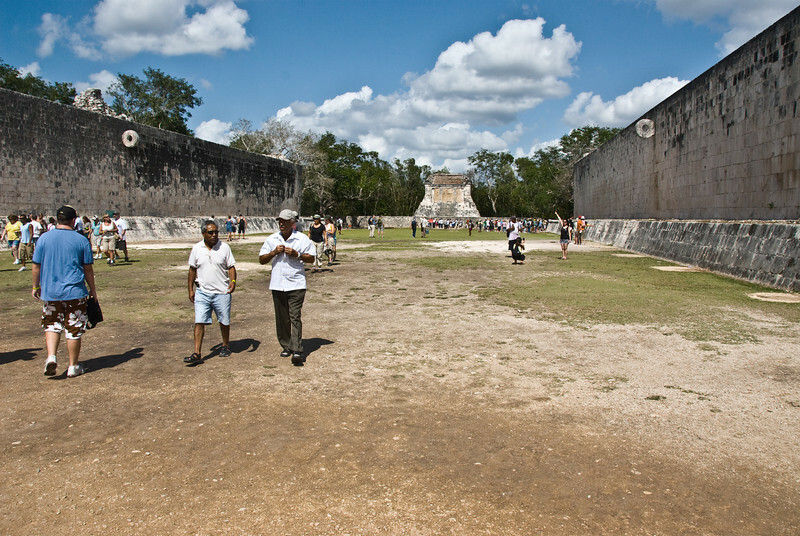 The ancient ball game played by the Mayan Indians was played in this stadium. A hard rubber ball had to be knocked through the hole in the center of the round hoops on either side of the stadium. The winning team captain would be sacrificed at the end of the game. Sometimes it pays to be a loser!